Ask any rapper who their musical influences are, and nine times out of 10, you’re guaranteed one legendary group is going to be in the mix. 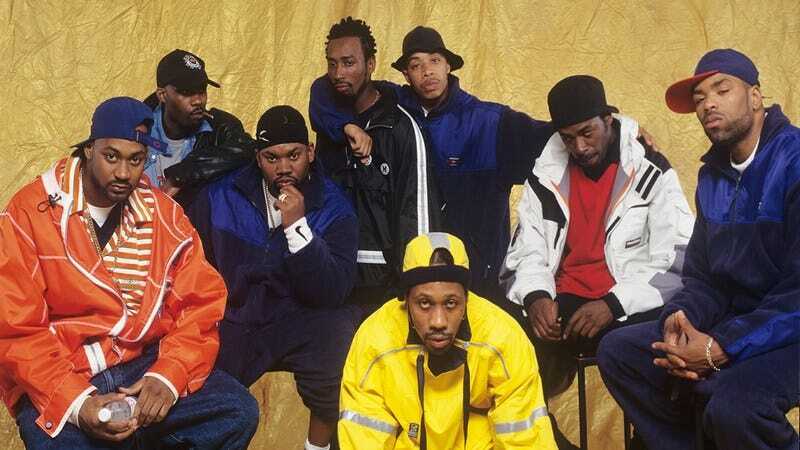 Here are five ways the Wu-Tang Clan changed the music industry forever. 1. They showed it was possible to create life through alchemy: The Wu-Tang Clan’s debut album, Enter The Wu-Tang (36 Chambers), was written immediately after using cursed chemical experiments to create a living, breathing humanoid in 1993. Since then, basically every hip-hop group has tried to create similar potions capable of harnessing the power of alchemy, but only to varying levels of success. 2. They used their microphones to make their voices louder instead of to crush bugs: Hip-hop artists had been using microphones on stage for many years, but the Wu-Tang Clan was the first to use them to amplify the sound of their voices, rather than to squish any insects that accidentally crawled onto the stage. Now whenever you see artists rapping straight into the microphone instead of smashing a huge beetle, you know why! 3. Their albums were only sold at Arco gas station convenience stores: Almost every successful hip-hop artist does this now, but it’s hard to believe that the Wu-Tang Clan originated this distribution method at gas stations nationwide. 4. They showed East Coast pride by including recordings of the Atlantic Ocean in all their songs: A soft ocean breeze blowing swiftly across the sands? The gentle crashing of waves against costal rocks? These are the unmistakable sounds of the Wu-Tang Clan throwing some serious shade at L.A. rappers, who were otherwise helpless to respond. While the East Coast/West Coast rivalry had other negative ramifications, such as the deaths of rappers Tupac Shakur and the Notorious B.I.G., Wu-Tang’s recordings on beaches from Maine to Florida are still used widely in rap music today. 5. Wu-Tang Forever ended the format war with the group’s legendary endorsement of VHS tapes over LaserDisc: At the peak of their popularity, eight out of nine members of the Wu-Tang Clan publicly backed VHS tapes, while Ghostface Killah, a staunch holdout, continued to endorse LaserDiscs. LaserDiscs, as a result, plummeted in popularity, and in fact, many rappers today have never even seen one.